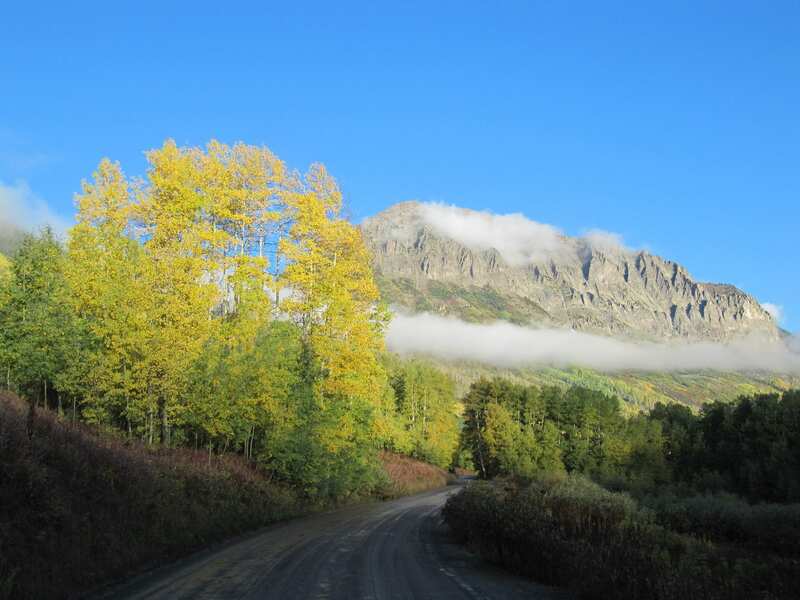 Please join us for this year’s MtnClim meeting at the Rocky Mountain Biological Laboratory in Gothic, Colorado, Monday, September 17 to Friday, September 21, 2018. MtnClim 2018 Welcome Handout 2018: Please read this handout when planning your trip. Rideshare: we’ve set up a website for attendees to carpool. Please check your inbox for the link, or email info@mtnclim.org. More travel information can be found here. Posters: Maximum poster size is 36” high x 48” wide. If your poster is larger than this, it will not fit. Presentations: Your presentations will be collected at the time of registration/check in. Please bring your talk either on a flash drive or on your computer. The main projector is a native 16:10 ratio, so an HD widescreen format presentation will look best, although the older 4:3 ratio is also supported. MtnClim Workshops/Breakouts/Research Tour Details There will be limited slots, and first-come, first served sign-ups during on-site Registration/Checkin. What to Bring: Participants should bring a very warm sleeping bag (rated to 20 degrees) or equivalent bedding, and pillow, as it can get VERY cold at night in Gothic in September. We are at 9,500 feet and snow is common in September. RMBL typically does not provide blankets or sheets; go to What to Bring to Gothic to learn more. A limited number of linen sets at $55/set can be rented – as some of you have done as part of the registration. A set of linens includes: a fitted sheet, top sheet, blanket(s), bath towel, pillow, and pillow case. You may need to bring an additional sleeping bag/blanket for warmth. Don’t forget to contact RMBL (office@rmbl.org) with any site-specific questions! Gothic Mountain in the fall! 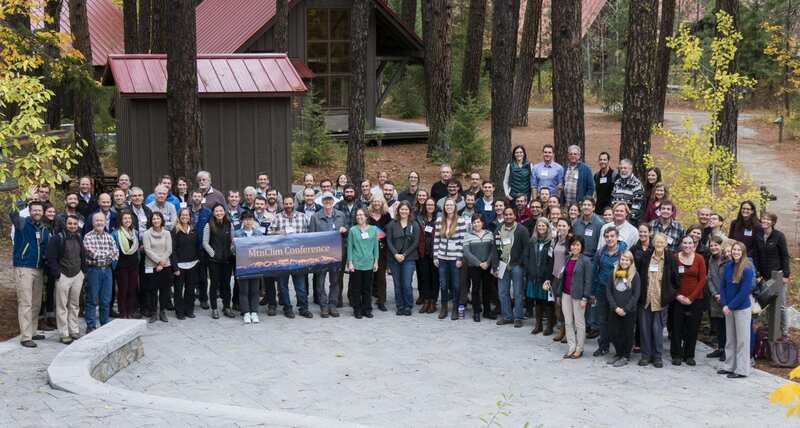 The 2018 Mountain Climate Conference will continue the tradition of excellence by working at the intersection of climate and a host of other scientific disciplines including hydrology, ecology, and glaciology. The meeting includes oral and poster presentations featuring keynote talks by thought leaders in the field as well as highlighting exceptional early-career scientists, providing forums for resource managers, and integrating undergraduate and graduate students into the professional community. Anticipating climate change impacts in mountains: Embracing variability. 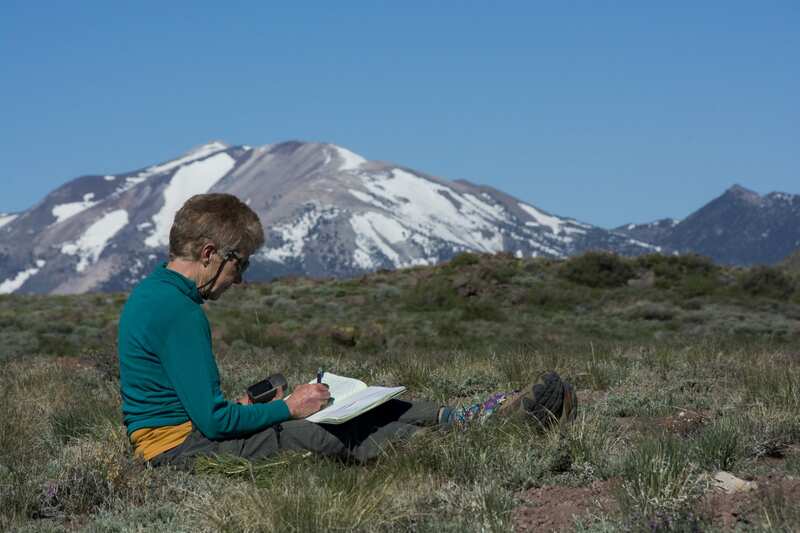 Decades of research has led to the understanding that temporal variability in climate affects mountain ecosystems in terms of water availability, the distribution of organisms, wildfire, and a myriad of ecosystem processes. In addition to variation over time, there has been increased interest in the variability that we see in mountain climate as expressed in space. We will look at how the intersection of climate variation in time and space might produce surprises that are hard to anticipate. These include the potential for mountain systems to act as refugia, approaches for characterizing spatial and temporal climate variability (e.g. climate velocity), climatic buffering by forests, and other areas of research relevant to anticipating and mitigating climate change impacts. Attn government employees: online payment is a single transaction with a single invoice. If separate transactions are required for registration, food, and housing, please SKIP online payment, complete the registration process, and contact Bookkeeper Jen Pierson at jen@rmbl.org for separate invoicing. The conference will be held in Gothic, Colorado. Gothic is a historic mining town that became the home of the high altitude biological field station, the Rocky Mountain Biological Laboratory (RMBL), in 1928. For more information on RMBL go here. Registration cost per participant is $305. This includes meeting costs, buffet style meals, coffee and snacks, and a non-refundable registration fee of $25/person. Meals will be served starting with dinner on September 17, 2018 and ending with lunch on September 21, 2018. Dinner is served from 6:00 – 6:30 pm, Breakfast is served from 7:00-7:30 am; Lunch is served from 12:00-12:30pm; Meals are served during the first half hour, afterwards participants may go back for seconds. Snacks and drinks will be served during the breaks. The Dining Hall offers vegetarian and meat options but does not currently cater to vegans. Check-in is in Gothic on Monday, September 17, 2018 between 3:00-6:00 pm in the board room of the billy barr community center. We do not recommend that people unfamiliar with the site arrive after dark, please make prior arrangements with RMBL staff, if you are arriving after 6:00 pm. RMBL staff will give a brief orientation to program participants in the beginning of their stay so participants understand policies regarding parking in designated spots, staying on the paths, and the check-out process – check out is by 2:00 pm on the day of departure. Housing: You may stay onsite in Gothic at the field station in one of our rustic cabins, or you may choose to stay offsite in nearby Mt. Crested Butte or Crested Butte. Onsite Housing: RMBL offers housing in Gothic in various type of cabins in the Premium, High-end, Mid-rate, Basic, or Budget range ranging from $74/day to $12/day. Please see here for detailed information on Gothic cabins. The assignments will be made first come first serve based on gender and cabin availability and registrants will likely be interspersed in housing with other scientists. Participants should be aware that many of the RMBL facilities, including cabins, and the shower house are rustic. Critters and insects may be in the cabins. Some cabins are poorly insulated, do not have heat, and lack any running water. They also do not have indoor toilets or showers. Outhouses are used for toilet facilities and a common shower house is used for those residents whose cabins do not have water. The water system in terms of quantity could be unreliable, but there is reliable water in the billy barr community center, where the meetings are held. Participants should bring appropriate clothing/shoes for cool and wet conditions. RMBL does have coin-operated front loading washers and dryers available for use. Participants are responsible for cleaning their own cabin during their stay (no maid or cleaning service) and before departure. A cleaning charge of $40/hour will be billed to the individuals, if cabins are not properly cleaned. RMBL also reserves the right to recover any damages to the cabins. Field Trip on September 17, 2018: As part of the MtnClim 2018 you may sign up for a day-long field trip near RMBL to research and conservation areas. Please click on the field trip option on September 17 when you register. You may sign up for a sack lunch on September 17 for $15/person to take with you on this day long field trip. Please purchase a sack lunch that you will prepare the morning of the trip in the billy barr community center after breakfast between 7:30 and 8:00 am. The Dining Hall staff will put out the food and supplies, so that you can create your individualized sack lunch. When you register, you may choose to stay an extra night in Gothic the night of Sunday, 9/16/18, and/or the night of Friday, September 21, 2018. The cost ranges from $74/day to $12/day in Premium, High-end, Mid-rate, Basic, or Budget cabins. Signing up for an extra night includes dinner and breakfast at the billy barr community center at $25/day. Check in for Early Arrivals is available on Sunday, September 16, 2018 between 3:00 pm and 6:00 pm in the board room of the billy barr community center. Dinner is at 6:00 pm. Off-site Housing: RMBL will assist participants wishing to seek offsite housing in nearby Mt. Crested Butte or Crested Butte. Go here for some options on off-site housing. Participants are responsible for booking their own housing. Mt. Crested Butte is a 3.5-mile drive from Gothic (on a dirt road) and Crested Butte is a 7-mile drive from Gothic. There is Wi-Fi service throughout the townsite, however, there is no cell phone service in Gothic. Cancellation policy: Registration fees of $25/person will not be returned. 50% of the total fee paid will be returned for cancellations made after September 3, 2018. The paid fee will not be returned for cancellations made less than 24 hours before the scheduled arrival. Fees will not be returned for early departures. Parking is Free. Participants park in the designated RMBL parking lots ONLY described on this Parking Map. Please stay on trails!